OK, BUCKLE UP. A lot of news this morning. 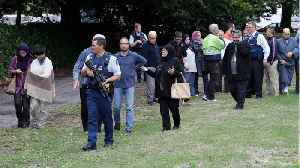 BREAKING OVERNIGHT … AP/CHRISTCHURCH, NEW ZEALAND: “Mass shootings at New Zealand mosques kill 49; 1 man charged,” by Mark Baker and Nick Perry: “Mass..